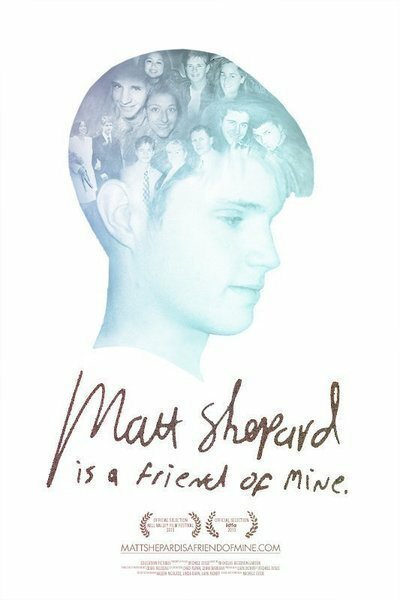 "Matt Shepard is a Friend of Mine" is a great documentary. It might face an uphill battle to be seen, because it revisits a crime that sparked national reckoning with the reality of homophobia, and that eventually led to the creation of The Matthew Shepard Foundation and the passage of the Matthew Shepard and James Byrd, Jr. Hate Crimes Prevention Act. I hope people discover it. It is wrenching but never exploitive. It is impressively skeptical of the same mission that it takes on its shoulders: to make something positive from a senseless crime without diminishing its senselessness. This film doesn't just revisit an atrocity, it moves through it, and finds meaning in it. The story starts on the night of Oct. 12, 1998, when Shepard, a 21-year old college student, was offered a ride home by two young men, Aaron McKinney and Russell Henderson, then tied to a fence, viciously beaten, and abandoned. Shepard died of his injuries. In the ensuing trial, McKinney’s lawyer tried to keep his client out of prison through the "gay-panic defense," in which defendants who think they've been the object of homosexual advances claim they were seized by "a psychotic state characterized by unusual violence." Director Michele Josue, who knew Shepard, frames the story as her own meditation on Shepard's life and death. This would seem self-aggrandizing if the filmmaker didn't quickly move beyond herself and distribute her attention democratically among Shepard's family and friends. In the second half, she widens the film's scope and shows how the news of the crime and trial affected strangers: not just gays and lesbians who saw Shepard's killing as a worst-case-scenario projection of their own experiences with harassment and violence (a teary-eyed Ellen DeGeneres is glimpsed briefly at a public memorial service), but anyone who was offended by displays of ignorant savagery, and frustrated by the tendency of America's legal system and popular culture to make excuses for them. Much of the film is about Shepard coming to terms with his sexual orientation, then getting beyond his cultural roots and building his own identity. His mother Judy remembers how the young Matt Shepard always wanted to dress as Dolly Parton on Halloween—she worries that this is a stereotypical signifier, but still seems moved by the memory—and his father Dennis recounts his own no-big-deal reaction to his son's decision to come out to him. We learn that Shepard traveled the world, and we hear loved ones reading aloud from letters he wrote to them. In an especially affecting passage, we learn that Shepard was raped by several men in an alley in Morocco, an event that influenced his decision to move back home to Wyoming. Throughout, "Matt Shepard Was a Friend of Mine" does an admirable job of taking a man who's been turned into a symbol and making him a man again—a young man. We get a sense of a life unfolding before us, a personality shifting and changing, a voice finding itself: the middle section of the movie, which focuses on Shepard's personal evolution, is one of the best examples I've seen recently of cinema's ability to universalize a singular experience. No matter who you are or where you come from, you'll probably see yourself represented in some part of Shepard's life—which makes that same life's premature extinction all the more saddening, of course. The film also captures that aching void left by a sudden death: that sense that a hole has been torn in reality. The sense of dislocation is felt most keenly in scenes that deal with Shepard's younger brother, Logan, who adored him. Without putting too fine a point on it, the film also asks what it means to be truly Christian, as opposed to distorting Christianity as a cover for hate. Concepts of acceptance (not "tolerance") and forgiveness are never far from its mind, and these move into the foreground when Josue speaks to Father Roger Schmit, who counseled one of Shepard's killers. Schmit tells her that forgiving those who've done wrong to us doesn't mean letting go of anger—that righteous anger at injustice can be a force that gives shape to grief, and turns it into something positive, forward-thinking, healing. It's overwhelming in the best way—an observation so simple and profound that stops the film in its tracks. To her credit, Josue lets it stop, and just sits with Schmit's revelations for a while, and lets them sink into the movie, and our minds. The film's title reveals its world view, and its mission: not "Matt Shepard was," but "Matt Shepard is."